The New Release Report details all the latest, innovations, new features and expanded functionality contained in the latest upgrade to the UltraShipTMS platform. 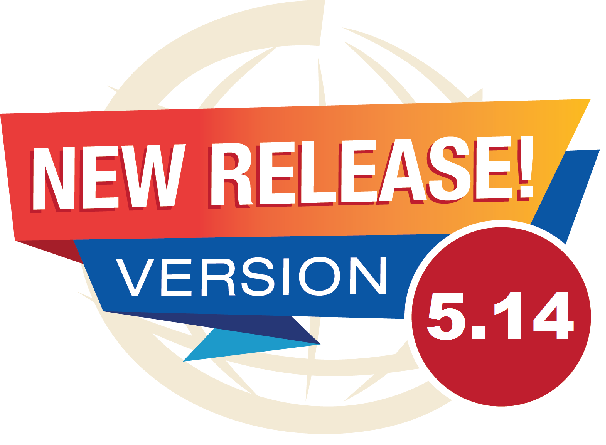 UltraShipTMS customers are being upgraded to Version 5.14 as of December 2017/January 2018. UltraShipTMS Version 5.14 included hundreds of improvements. Here is a breakdown of the more significant improvements it contains. New Administration screen Manage Line Items has been created to allow Implementation Managers to manage financial line items via UI. Enhancements to the Backhaul/Return stop linking process. Improvements to the carrier detention request process including: A report for the Carriers to request status, Comments reviewing carrier charges, Super user ability to reverse approval or rejection prior to processing, updated filters on the ‘Payment Processing’ page. Speed and performance improvements to the Browse and Export capabilities on the ‘Freight Audit Browse’ Page. Updated allows TMS to process payments either through Freight Audit or Payment Processing. Previously system settings would allow only workflow for carrier settlement. Users can now search by manifest number on ‘Review Invoices’ page. Enhanced workflow for sending Static Routes from ERP to TMS. UltraShipTMS now integrated with FourKites for automated, real-time tracking. Please contact your account manager for information on how to setup a FourKites account. Users can now download the error log from their last optimization run as a text or Excel file. Users are now able to re-run the same orders through the optimizer with a different (or the same profile) directly from the ‘Routes’ page. Further refines stop-sequence logic when adding orders; if an order’s destination has the same lat/long as an existing stop, an additional stop is not added. Features that are included in the Advanced Scheduling Module are now in their own section of the ‘Location Management’ page. Hyperlinks to the location creating the alert. Additional column added to the ‘Location Manager’ page for alerts. New Alert or Flag notification capability may be applied to a location when ‘Location Clean Up’ script finds any errors. New button launches a Google or Bing search for the Location Address, City, and State. Filters out locations that cannot be used for an origin or destination, such as Carriers, Bill-To Only, Headquarters, Maintenance, etc. This process runs in the background to reads the actual check calls made at the stop location and determine the average on-premise time at a location. Default Job/process is scheduled to run nightly as a default setting. An optional export file can be generated with an export of the locations and their average on-premise times. Data Mapping from LoadFusion Optimizer to TMS CORE has been updated. A ‘last updated’ field added to ‘Opt Order Direct Cost’ page so users can determine the date direct cost was calculated. New logging of direct cost attempts and reason(s) for failure. The scorecard provides key metrics on carriers’ performance in several areas such as Tendering, On-Time, and EDI. It also provides current Carrier Assurance data points. New Executive Dashboard is now available to HQ users. The default date filter on the Charts Dashboard is now set to 1 year. On Time Dashboard summarized the Stop Status of all open shipments on a single page. On time dash board is available to Super Users only. Bay Scheduling UI upgrade. The Bay Scheduling Module now summaries the shipments by date and displays the total appointed and un-appointed shipments for each day. Users can also click on the date headers to easily change the search filters. In the Appointment Scheduling Module on the ‘Shipment Details’ screen an alert is triggered if any appointments set where there is insufficient transit time between two appointments. Additionally, ETA to the next stop is automatically calculated and displayed in the Appointment Scheduling Module when an appointment is set for the previous stop. Access to the ‘Configuration Management’ page is now controlled by a capability. A view-only version of the ‘Background Processes’ page is now available to users with the background processes capability. The flat file interface now displays manually uploaded shipments and orders. New ‘Report Maintenance’ screen for implementation managers. ‘Home Base’ menu item now has several sub menu items including Charts Dashboard, Executive Dashboard, On Time Status Dashboard and Tendering Dashboard. ‘Browse Order’ page now allowing users to search/filter by region code.